When it comes to mobile phones, everyone knows what they want in their phones. Some look for storage, some look for good sound & some like me look for good camera quality the most, especially in the field I am. I prefer a phone with high quality camera quality because I like to do things with my phone, instead of carrying an extra camera. Being a makeup artist & beauty/food/fashion blogger the camera has to be the BEST one to capture the true colors. Is Moto Z my kind of phone? Let's find out!! Karachi, 17 February 2017 – Lenovo, through its Subsidiary, Motorola Mobility, announced the availability of Moto Z smartphone in Pakistan. 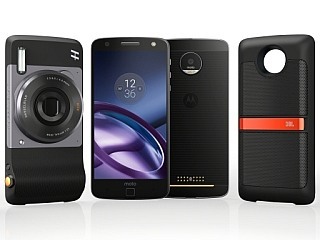 With Moto Mods, Lenovo has entered the next era of mobile technology. Consumers can transform their Moto smartphone into exactly what they need it to be, and the possibilities are endless. The Moto Mods Family includes the JBL SoundBoost speakers so users can take the party with them, the Insta-Share Projector so they can share content as and when they want, power packs from Incipio so consumers are never out of battery, and the Hasselblad True Zoom, that will enable aspiring photographers to capture precious moments on the go. Made from military aircraft-grade aluminum and stainless steel, the stunning new Moto Z is durable-yet-razor thin - just 5.2mm - and ultra-light with a 5.5” Quad HD AMOLED display. The smartphone is equipped with a powerful Qualcomm® SnapdragonTM 820 processor, 4GB of RAM and 32 GB or 64 GB of storage inside. Those looking for even more storage for pictures, videos and apps can add a microSD card up to 2 TB. 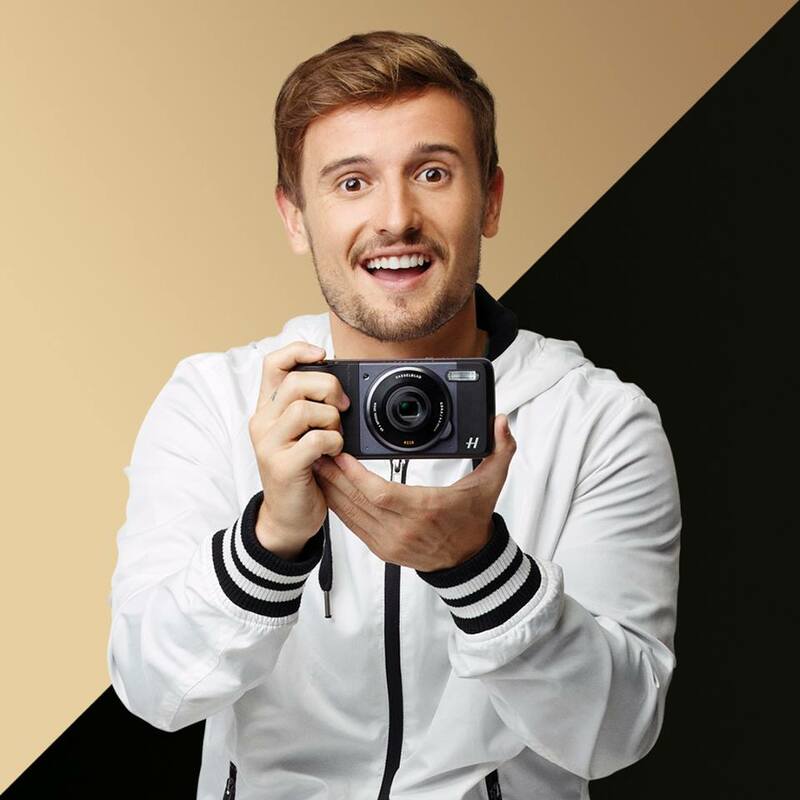 Moto Z has a high-resolution 13MP camera with optical image stabilization and laser autofocus, which help users take beautiful, true-to-life pictures in any light and condition. The front-facing 5MP camera includes a wide-angle lens, which is great for fitting friends in the picture. Moto Z also includes an extra flash on the front camera to ensure users look their best, even in low light. The smartphone comes with a water-repellant coating, which shields the phone from rain, splashes or spills that might come in its way. With the fingerprint reader, a touch is all it takes to instantly wake up the phone. Moto Z supports up to 30 hours of battery, so people can go all day and well into the night without needing to stop and recharge their phones. When in need, the TurboPower™ Mod provides up to 8 hours of power in just 15 minutes. Moto has teamed up with Hasselblad, has been at the forefront of the imaging industry, to design an imaging experience that completely transforms mobile photography. Add advanced imaging capabilities to the phone in a snap, and create and share like never before. Featuring 10x Optical Zoom and a Xenon flash, all is needed is to just focus on getting the shot - lighting and distance will never stand in the way of capturing the perfect image. Customers can expect even more control and flexibility with the ability to shoot in RAW format, in addition to the physical shutter and zoom controls, guaranteeing a great handling experience. With True Zoom, users will also get free access to Hasselblad’s Phocus software for streamlined editing control and the highest quality output. Users will also be able to share beautiful results with family and friends while still in the moment with automatic backup and unlimited free storage for two years with Google Photos. For those who enjoy listening to loud music, the Moto Z offers a high-quality JBL SoundBoost that will give the smartphone a boost with powerful stereo sound in a snap. The Mod includes a built-in kickstand that is guaranteed to make videos and music more immersive. Users do not have to worry about the battery life, as the JBL SoundBoost includes 10 hours of battery life that allows people to listen longer without using their phone's battery. The speakerphone also ensures that calls come in loud and clear no matter the location. 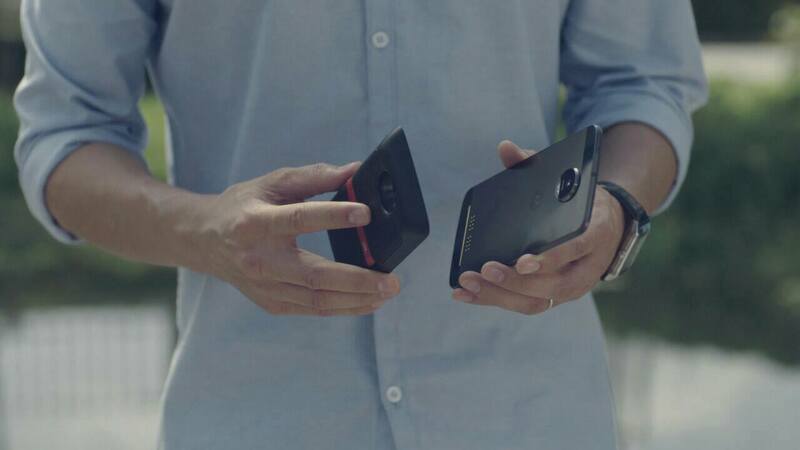 The Moto Insta-Share Projector snaps easily onto the Moto Z phone and enables instant sharing of photos and videos. The Mod projects up to 70” on any flat surface so the big screen is with users every step of the way. 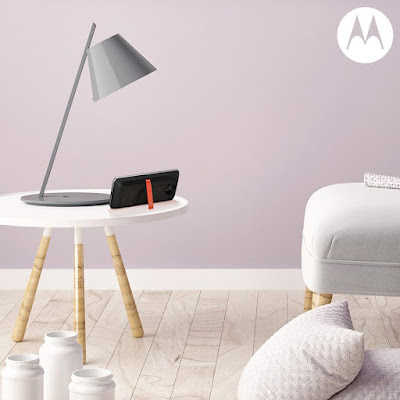 With the integrated kickstand, people can project at any angle which allows friends and families to gather together to watch their favorite pictures, shows, and even games. The Insta-Share Projector comes with built-in battery that provides users with up to one extra hour of screen time before using the phone’s battery. Other than a classy sleek phone, what caught my attention the most was the Hasselblad True Zoom mod. The moment I came to know about this mod, I was excited to see if it does the job of what a good camera with zoom lens would. To my surprise, it does the job very well. After zooming, it didn't pixelate the image & the picture was crystal clear - which is the best part! This mod will not only help me in achieving a high quality picture with true to its color, but will make my life easier by sharing it on social media in no time. It's perfect not just for photographers, but for people who love capturing the moments while travelling. Apart from this mod, JBL soundboost is bomb if you love loud music. Another eye-catching mod is the "Insta-Share Projector"; now you can watch a movie at home. All you need is a bag of popcorn or chips and you can watch your favorite series in a cinema like mode. Moto Z will be available in two colors: Black & Lunar Grey/White & Fine Gold.